Brazil is the largest and most populated of all the South American countries. But don’t attempt to speak Spanish if travelling in Brazil - this can be quite insulting as they are a Portuguese-speaking nation with a decidedly different colonial past to their neighbours!As with many countries that have many hundreds of miles of coastline Brazil is an immigration hotspot, with much of its cultural heritage owing to the immigration of different ethnic groups. Many Brazilians are descended from Africans or are of mixed African or European descent. Whilst the customs and traditions of Brazil may bear some similarities to other Latin American countries, there are a few key differentiating etiquette points that any traveller should be aware of. Brazilians tend to be very zesty and passionate individuals. To foreigners, their conversations may seem vivacious and quick, characterised by much interjection and interruption. If you are having a discussion or conversation with a Brazilian, you should expect much of the same. But don’t take the interruptions as rude and overbearing, it is actually a mark of enthusiasm an interest in what you are saying. In fact, not engaging with conversation through withdrawn body language or not feigning attentiveness could be considered as bad etiquette, as it might convey boredom or lack of interest. You should always try and appear alert and maintain eye contact when conversing. You should also be mindful about what topics of light conversation are or are not appropriate. Deeply personal questions about married life, job and financial status and criticism of politics should be avoided. 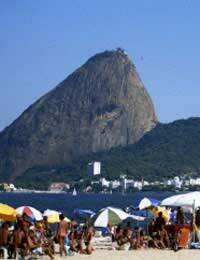 Perhaps better subject matter includes any of Brazil’s scenic landscapes and landmarks, beach culture, dance, opera or current economic developments. Brazilians love to dance, and the fiery, passionate and sensual way that they do so gives a good insight into the way in which Brazilians tend to interact with each other. Close personal space, with a degree of touching of the arms, back and hands whilst in conversation are not uncommon. As a foreigner you should be prepared for this close proximity in personal space. It would be bad etiquette to shuffle away or seem offended by the close contact. Greeting customs in Brazil also incorporate a lot of personal contact. Women will generally greet other women by kissing once on each cheek, right to left. Brazilian men will also kiss women on the cheeks when greeting them, but handshaking is reserved for between two men. Brazilians are very group-orientated and sociable people, and for this reason they retain a similar ethos to the Chinese with regards to ‘saving face’. Whilst Brazilians are seen as quite freely passionate and spirited people, you should be mindful that they are also respectful and dignified. Publicly demeaning or disrespecting a Brazilian is seen as very bad etiquette. Any grievances you have should be discussed in private in a respectful manner. Possibly one of the most obscene gestures that you can give a Brazilian is the ‘OK’ sign, whereby you create an ‘o’ shape between your thumb and index finger. Whilst commonly used in many other countries, in Brazil this gesture actually means something entirely different, and is actually regarded as utterly gratuitous and explicit. Unless you want to appear extremely rude and ignorant, avoid it at all costs!